Special Tiles offered come in quality construction finish and can be made available in different finish specifications to choose from. These tiles are specially manufactured to provide suitable resistance to different factors that can degrade them and come manufactured using high grade raw material. Finding suitability for use in areas like flooring of railway stations, bus stops, homes, commercial places and other places, these come with features like superior finish strength, superior resistance to pressures, available in different color options, breakthrough strength of 3000-1500N (depending upon tile thickness), water absorption of <0.5% and others. 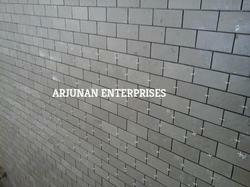 Industrial Tiles offered comes in quality constructed finish and provides for superior resistance to all acids, alkalis. The construction standards of these tiles also meet IS -4457 of 1982 and feature breakthrough strength of 3000-1500N (depending upon tile thickness), water absorption rate of <0.5% and resistance to wear of 1.2mm. Some of its features include suitability for providing heavy duty flooring support and meeting the demands of skid proof flooring; suitable for use in fertilizers, pharmaceuticals, breweries, food processing units, dairies, cold storage and other industrial areas; suitable for use in areas requiring heavy traffic movement. Anti Corrosion Tiles offeredare well recognized in the industry for their superior finish construction values and find extensive use in areas like chemical industries (storage tanks of acid and alkalies; in floor and in chimney and duct areas); in effluent treatment plants & electro plating industries. Other than this, these are also used in industry sectors such as sugar, cement, paper, fertilizers, pesticides, pharmaceuticals, breweries, bottling plants and others. S0ome of its features include breakthrough strength of 3000-1500N (depending upon tile thickness), suitable for use in heavy duty flooring, provides superior resistance to all acids, alkalies, suitable for paving and cladding applications and others. Heavy Duty Industrial Tiles offeredcomes in quality construction finish and finds extensive use in industry sectors such as sugar, cement, paper, fertilizers, pesticides, pharmaceuticals, breweries, bottle ling plants, food processing units, dairies, cold storage. Other than this, these are also suitable for use in airports, malls, supermarkets as well as for paving and cladding applications in areas requiring withstanding of heavy traffic. Some of its features include breakthrough strength of 3000-1500N (depending upon tile thickness), water absorption of <0.5%, resistance to wear of 1.2mm, provides superior resistance to all acids, alkalies, meeting IS -4457 of 1982 standards. 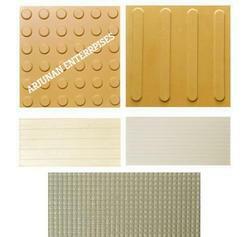 Looking for Industrial Tiles ?